Cannabis, or cannabis sativa, is a tall, sturdy, fibrous plant that is native to Central Asia. It originated in the Himalayans near what is now Tibet. Cannabis was used for medicinal and therapeutic purposes for centuries, dating all the way back to Ancient China, India and the Greco-Romans. Fast forward to more modern centuries, however, and you’ll find that cannabis and hemp have experienced many ups and downs throughout the last few hundred years. From being one of the most popular agricultural products in the world to being criminalized, and now once again gaining favor in the public eye, keep reading to learn about the tumultuous history of cannabis in America. 1600s – Hemp cultivation is not only legal, but American farmers are openly encouraged to grow it. 1619 – The Virginia Assembly requires all farmers to grow hemp. 1890s – Industrial hemp is used to produce rope, sails, and clothing. 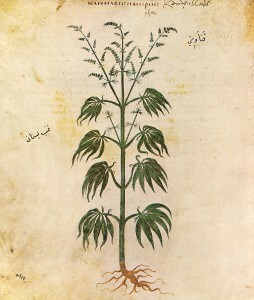 Throughout the 19th-century, medicinal products containing hemp or marijuana are sold openly. 1906 – The Food and Drug Administration (FDA) requires labeling on medicines to identify hemp or marijuana. 1900-1920 – While most Americans are familiar with cannabis use in medicines and tinctures, Mexican immigrants, especially refugees from the Mexican revolution, introduce “marihuana” as a recreational drug to Americans. 1930 – The Federal Bureau of Narcotics presents a program to demonize marijuana use. 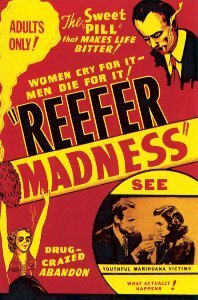 1936 – The movie “Reefer Madness” is released. Now seen as a cult classic, it blamed marijuana use for murder and psychotic episodes. 1937 – The Marijuana Tax Act is passed, effectively banning the use and sale of marijuana. 1944-1946 – With World War II, comes a new attitude regarding hemp. 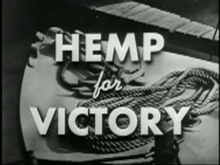 Hemp is grown freely as part of the “Hemp for Victory” program. It is used to make rope, parachutes and other supplies for the war. 1951-1956 – After the war and with the economy booming, stricter sentences are applied for marijuana possession and use – two to ten years in prison and fines up to $20,000. 1960s – The fact that marijuana is illegal only makes it all the more popular with the counter-culture. 1970 – Sentences for using and possessing marijuana are reduced, and the Marijuana Tax Act is ruled unconstitutional. However, the Act is replaced with the Controlled Substances Act of 1970, which places cannabis on the strictest list of prohibited drugs – Schedule I. 1972 – The Shafer Commission reports its findings and recommends that marijuana should be decriminalized. President Nixon does not approve and cannabis remains a Schedule I drug. 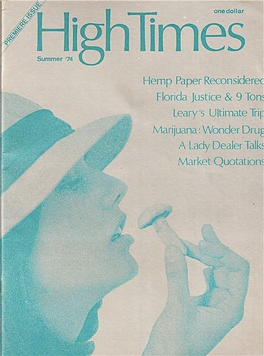 1974 – High Times is published for the first time. 1986 – President Reagan and First Lady Nancy Reagan launch their “War on Drugs” and proclaim marijuana as a dangerous drug. 1989 – The first Bush administration continues the previous administration’s anti-drug and marijuana policies. 1996 – California passes the first law in the country to legalize medical marijuana. 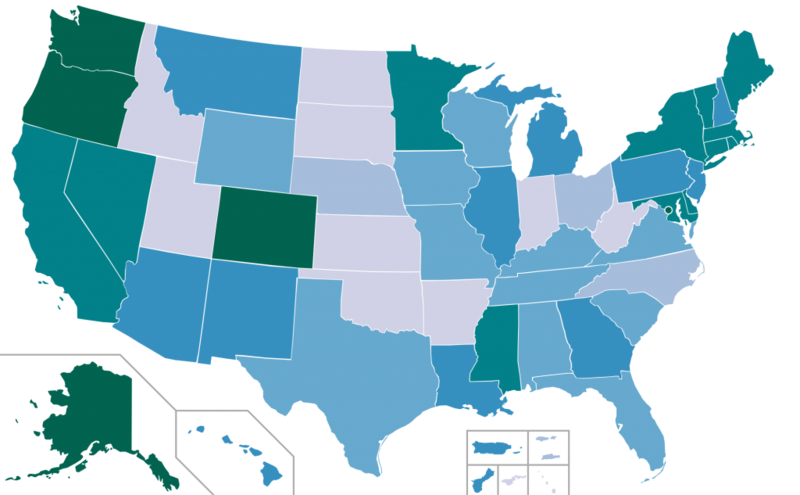 1996-2016 – At the state level, 32 states have introduced hemp or marijuana legalization measures. 2014 – At the federal level, President Obamasigns a bi-partisan farm bill into law which allows State Agricultural Departments and universities to grow hemp for research, industrial use, and oil from seeds. It is noted that industrial hemp is easily a $500 million a year industry. In recent years, most hemp products have been imported. The U.S. has been behind the rest of the developed world in the production of hemp. The fight to legalize cannabis marijuana has come a long way since the 1930s. There are still over 20 states that do not allow hemp production at all and more than half the states do not even allow medical marijuana usage. However, clearly the tide is turning. The possibility of having cannabis legalized at the state or federal levels lies in the hands of the future administration and Congress. The citizens of the U.S. also have an important role in legalizing cannabis which is reflected in the politicians they elect.